As one of the best ways to back up your iOS device, iCloud can be very useful, not to mention very effective and convenient. But iCloud does have its own problems, problems that you may face when setting up or using the service. These issues can be troublesome as they may affect how your data is backed up and even cause fear of data loss. This article addresses some of the most common iCloud problems, offering an effective solution for each. Read on to find out how to fix your iCloud issue. The following are some of the most common problems users encounter when signing in or setting up iCloud. When you set up a new iOS device, you should see an option to create an iCloud account. If the option is not available, it may mean that you have an outdated version of iOS. Keep in mind that iCloud was introduced with iOS 5, so if you are running an earlier version, iCloud may not work. Therefore, download iOS 5 or later on your device and then try setting up iCloud again. If this happens to you, try using the Apple ID on your Apple ID account page. If you can’t sign in here either, reset the Apple ID account password and then try again. #3. Can’t sign in due to the alert “Account not verified-Check your email for instructions to verify your account. If you see this alert when trying to sign in to your iCloud account, try the following. Close and the reopen iCloud preferences on your Mac before trying to sign in again. If you don’t see a verification email, click “Resend Verification Email” in iCloud preferences to get it. If you are having trouble syncing data to your iCloud account, the following solutions may be helpful. Sometimes a bit of patience is all you need to fix an iCloud syncing problem. So, before you do anything drastic, simply restart the device and wait. It might also be a good idea to restart all affected devices. Check to see that you are signed in to the same iCloud account on all the devices you are trying to sync. To make sure go to Settings > iCloud on your iOS device or System Preferences > iCloud on your Mac. Before you go blaming yourself for syncing problems, make sure that iCloud is working. 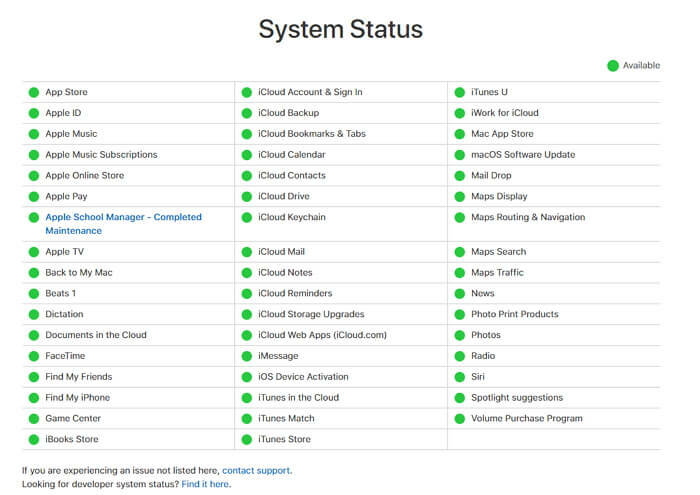 You can check the current iCloud status on Apple’s system status screen. If iCloud has a green dot on it, it is working. Otherwise, wait for the system to come back online. 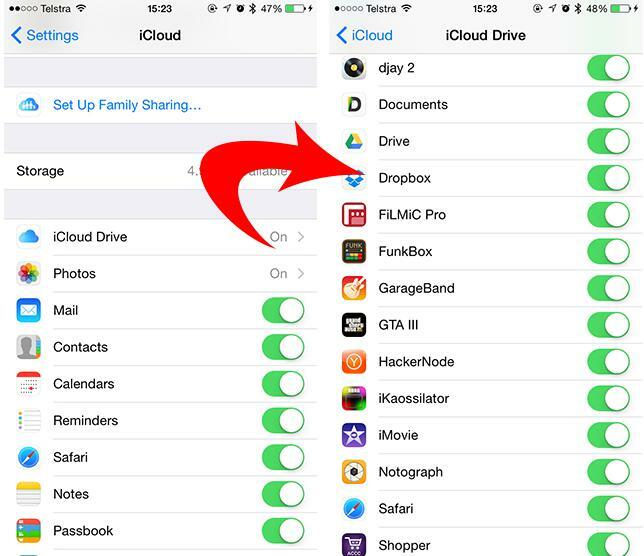 It is also important to ensure that the app you are trying to sync is enabled in iCloud. To do this, go to Settings > iCloud > iCloud Drive and scroll through the listed apps to make sure the one you want is tuned on.